This view is from a walk to Proaig and McArthur's Head in April 2006. The lighthouse had been painted the previous summer and looks in perfect condition with the still fresh paint. 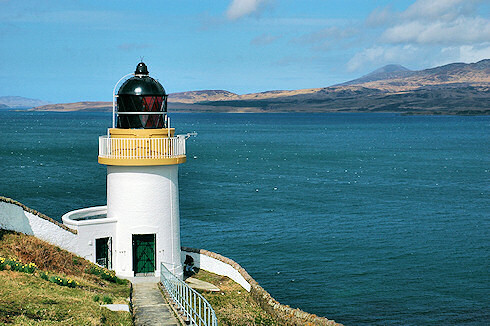 Most of the land visible is the Isle of Jura on the other side of the Sound of the Sound of Islay below.